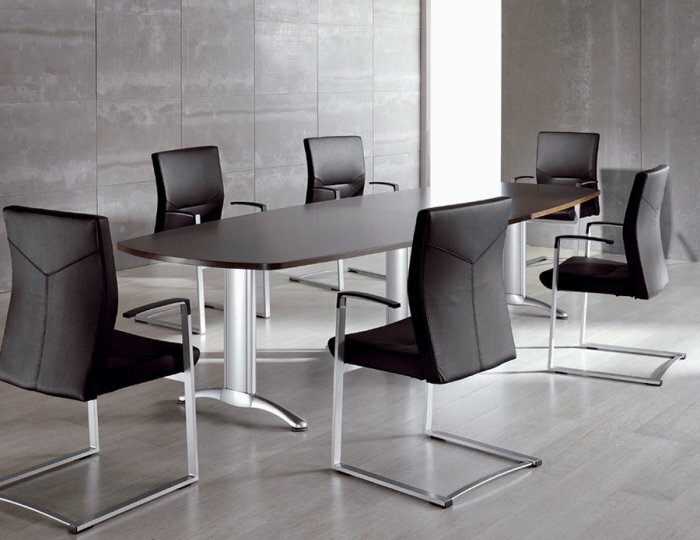 Central boardroom tables are manufactured to a high quality in Europe and held in stock in the UK for fast delivery, available in a range of sizes and finishes this stylish and affordable boardroom will bring to life any office environment. We have carefully selected the central boardroom table to fit in the middle range of our boardroom tables offering, its quality finish and build and timeless design are complimented further by the reasonable price and the speed of delivery. The central boardroom table is simple to instal with clear and concise instructions and quality fittings, however if you prefer not to have to build your own boardroom table why not take advantage of our professional installation service, for a minimal cost our professional team will bring the table into your room, assemble and take away all packaging leaving your table fully assembled and ready to use. For more information on our central boardroom tables range or any of the other boardroom tables we offer don't hesitate to contact us and speak with one of our expert sales team.